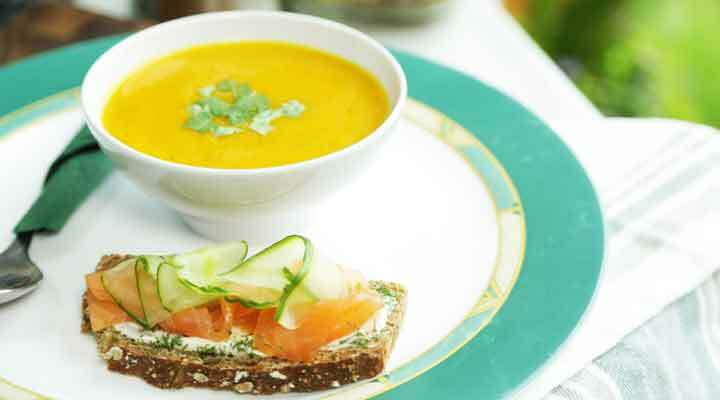 Operation Transformation Recipe - Open Smoked Salmon Sandwich served with Carrot and Coriander soup. Top with salmon, cucumber and dill. Serve with carrot and coriander soup. Find the soup recipe here.